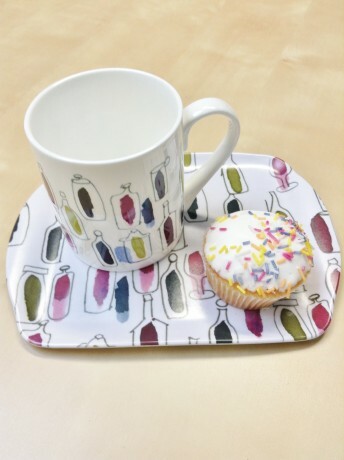 This durable melamine tray is designed by Sara Page and made in England. Useful for holding a biscuit/muffin or cake accompaniment to a cup of tea or coffee. 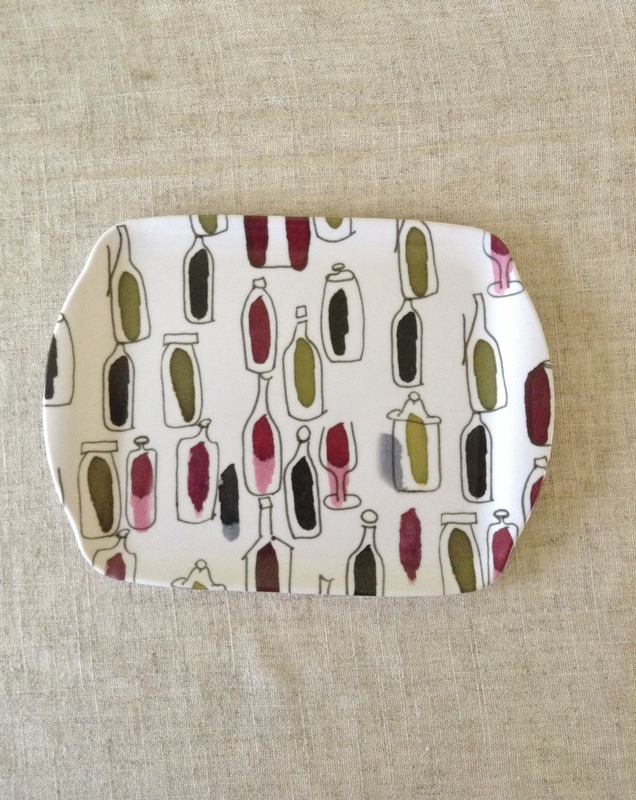 The fun red and white wine bottles with a touch of olive is great for any occasion.